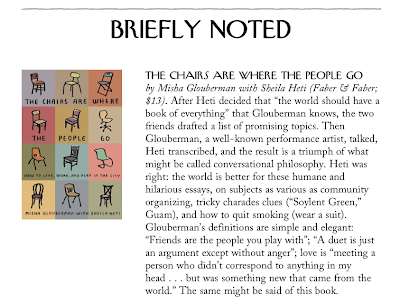 211 Bernard: The New Yorker praises "Chairs"! 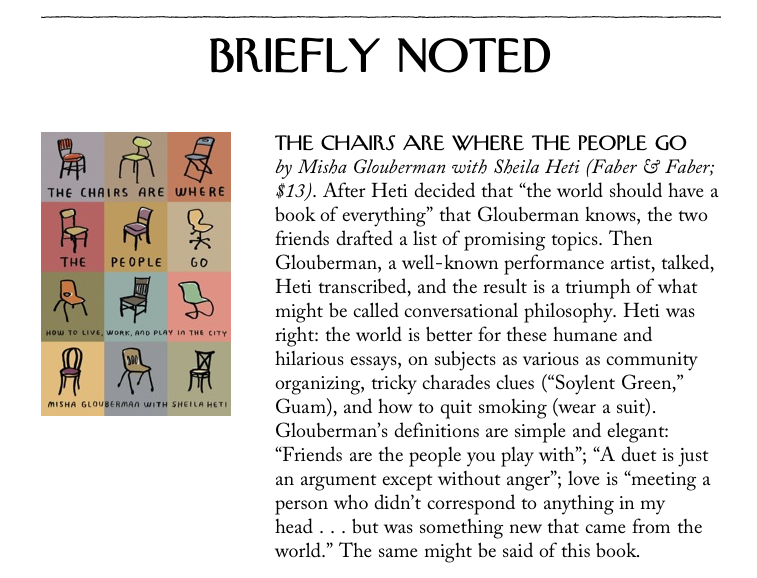 The New Yorker praises "Chairs"! Remember, come and buy two tickets to the show from us at the shop and get a free copy of the book (very, very limited supply)!